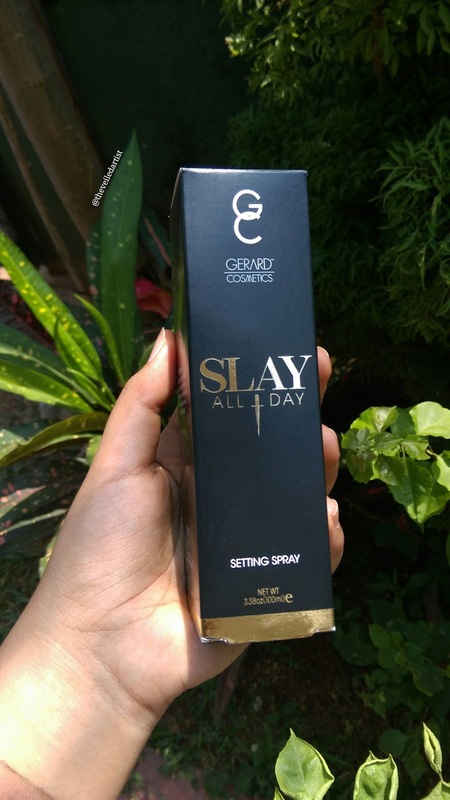 Today I will be reviewing the Gerard cosmetics Slay all day Setting Spray. 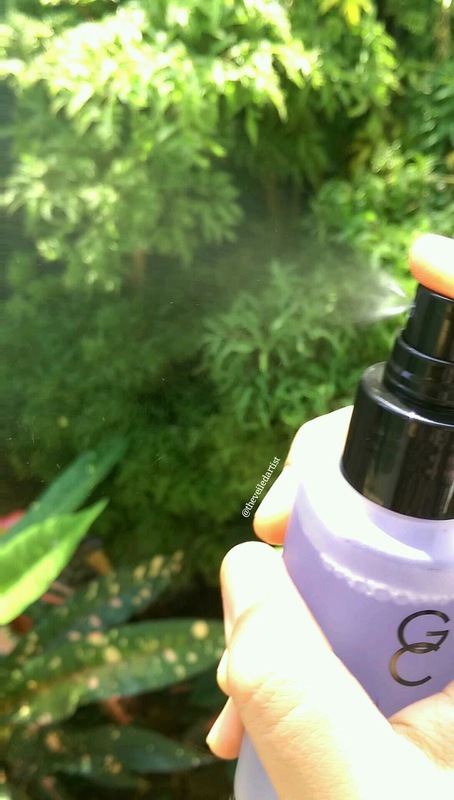 I like to call this instagram’s favourite setting spray because when it first came out, literally EVERYONE was using it! So I had to give it a shot myself. Also guys, please click the blue follow button at the end of this post or on your right to receive a little notification every time a new post is up! Let’s get started with review! 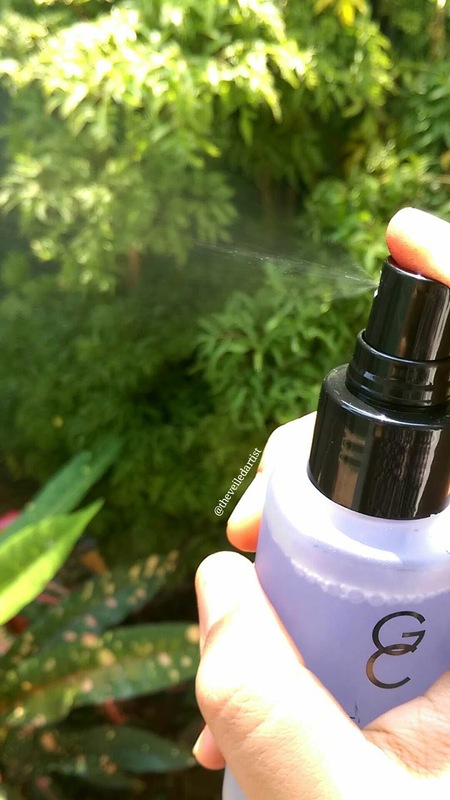 The spray comes in a nice simple see through plastic bottle great for travel so you don’t have to worry about it dropping and breaking. And it’s also got a good sprayer to get a fine mist. First thing I noticed when I looked at the ingredients list was that water is the first ingredient. In case you didn’t know, ingredient lists are usually arranged in the order of how much of a product is present in the final product. So, if water is at the top of the list, the spray is mostly made of water. Anyways, I purchased the lavender scent because I thought it would calm my soul after an intense face beating makeup session, and it does! There is also a slight alcohol scent along with the calming lavender scent so I’m not sure which one.. I’m kidding! It’s definitely the lavender that calmed me haha! 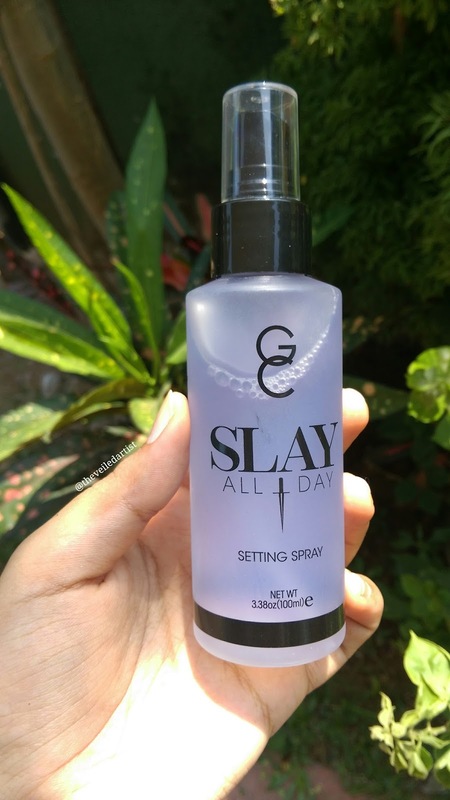 The first few times I used this spray, I sprayed it over my favourite cream foundation, after I’d set it with powder and I was so disappointed when it got ultra-greasy after just about an hour. It was so greasy that I just looked sweaty. After this happened twice, I never reached for the product again, until recently, I was using the Revlon Colorstay foundation (which is usually too matte on me and I save it for warmer days here in Srilanka), I got distracted on my phone and when I decided to blend it out, the foundation had dried up on my face. 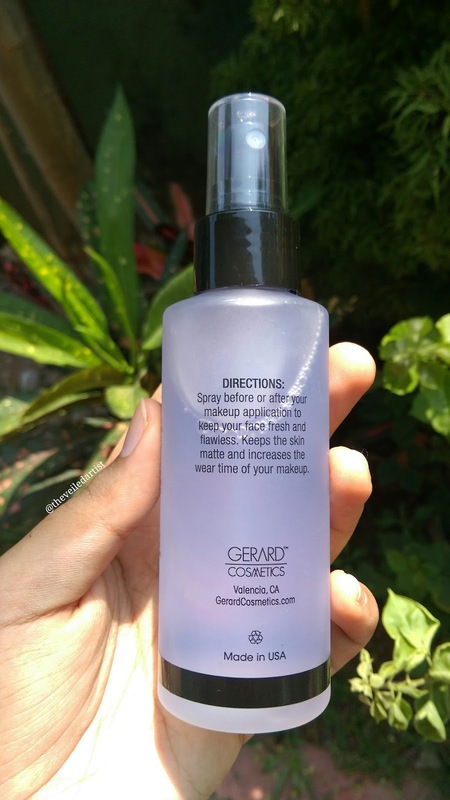 I would usually just remove it with a makeup wipe and redo my foundation but when I looked up, this Gerard spray was staring at me from my makeup drawer and I decided to give it one more try. I sprayed my makeup sponge with it and blended out my foundation, and it blended out, LIKE A DREAM!! 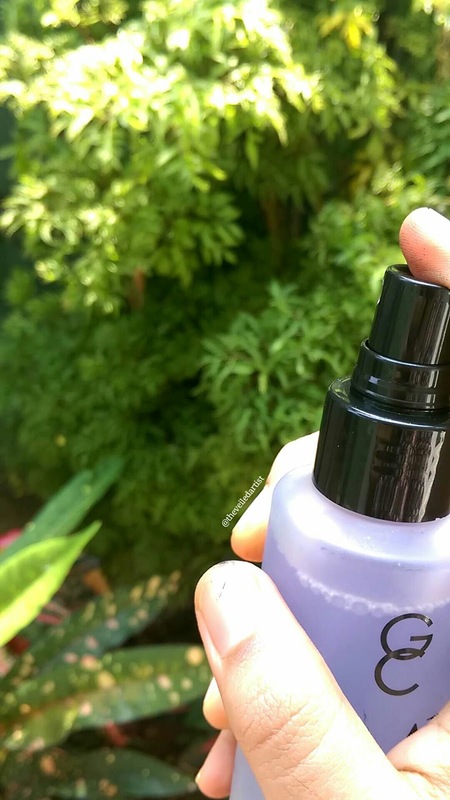 On another day, I had baked my under eyes and had done a full coverage routine using the same matte foundation and I used this spray to both blend in the foundation, AND as a final setting face and my skin looked completely airbrushed. Everything stayed in place until I got home and decided to take my makeup off, after around 6 hours. I am in love! I usually use something very random to set my face when I DO NOT want it to budge and it’s a trick only some people know. I shall do a blog post about that one soon! 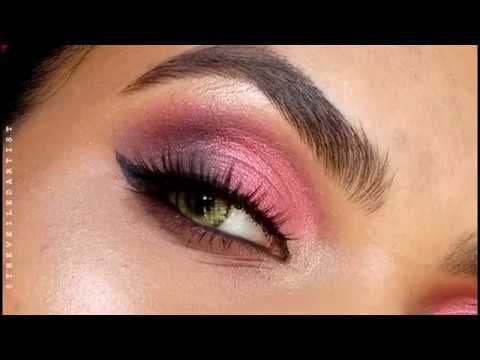 So I have concluded, that this only suits people with dryer skin or if you’ve used a matte foundation or too much powder and you want to get rid of that cakey look. Oily skin will not benefit from this as it doesn’t control oiliness in any way. It does reduce foundation transfer quite a bit but doesn’t lock it in enough for you to feel confident about hugging someone wearing a white shirt and not worry about your whole face mould transferring onto their shoulder haha! Yes, it’s really nice if you have dry skin or want to remove any powdery residue. I will keep using it, but will not be repurchasing.